Jacek J. Kolasiński is the founding Director of the Ratcliffe Incubator of Art + Design in the FIU College of Communication, Architecture + The Arts, is an Associate Professor of Art at the Art + Art History Department at Florida International University where he previously served as the Department Chair for six years. He came to the United States from Poland where he studied history and philosophy at the Jagiellonian University in Kraków. He holds a Bachelor of Arts degree in International Relations. Kolasiński received his MFA and BFA from Florida International University in Miami. He is a Ph.D. Candidate at the prestigious Academy of Fine Arts in Warsaw, Poland. Kolasiński is an interdisciplinary artist and curator, whose work is rooted in an international dialogue between two worlds: the “Old World” of Europe in Krakow, and the “New World” of the United States in multicultural Miami. These convergent worlds create a running theme that surfaces in many of his works: the search for identity in the vortex of cultural displacement. Through his creative work, Kolasiński has tested complex trans-disciplinary collaborative productions, multimedia installations, single and multiple channel video projections, 3d digital fabrications, as a well as community-based, and site-specific projects. He is a research-based artist who actively engages with art historical and artistic communities. 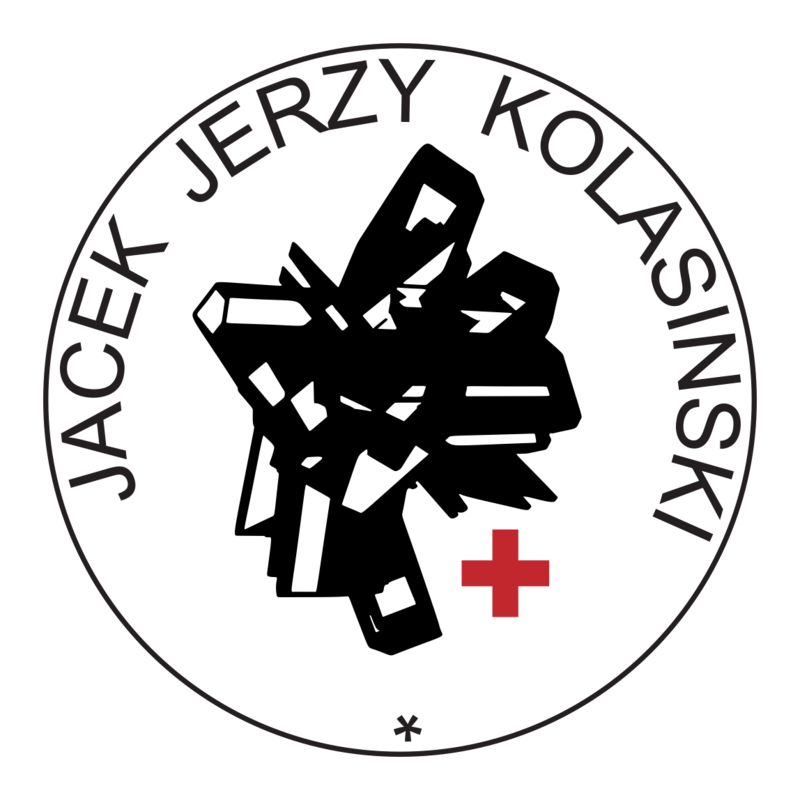 Kolasiński’s artwork and curatorial projects have reached large international audiences through presentations and exhibitions in numerous venues including: the Teatro Colon, Buenos Aires, Argentina: Festival Internacional Cervantino, Guanajuato, Mexico; 61 Festival de Cannes – Short Film Corner; Cinema Politic, Barcelona, Spain; and Digital Fringe, Melbourne, Australia, Art Academy of Latvia, Vilnius Academy of Arts, Academy of Fine Arts in Warsaw, Tianjin University to name a few. Kolasinski has been awarded a Florida Cultural Consortium Fellowship in the media and visual arts, the prestigious Kosciuszko Foundation Fellowship, and FIU Faculty Award for Excellence in Research & Creative Activities. In 2018, Prof. Kolasiński was made an honorary member (Academia Artium Latviensis Socius Honoris Causa) of the Art Academy of Latvia. As an interdisciplinary artist, I am engaged in a very dynamic field of artistic research/practice that undergoes constant and rapid change. I have created an interdisciplinary approach to my work that encompasses not only various artistic media, but also discrete academic areas of research. I am very interested in individual and collaborative projects that allow for a great degree of experimentation and fluidity within modes of investigation. The running theme which surfaces in many of my works focuses on the search for identity in the vortex of cultural displacement. My deep interest in history and international relations enables me to develop a complex mechanism of artistic inquiry regarding not only aesthetic concerns but also socially pertinent issues. As an immigrant, I bring an international perspective to my work that negotiates experiences and priorities of Europe with those of the Americas. Much of my work deals with my migration from Poland to Miami after the dissolution of Soviet rule. My most recent work explores trans-national connections between Poland and the global South, or Haiti in particular. I have been investigating the Black Madonna of Częstochowa that has been inextricably intertwined both with Polish and Haitian cultural identities. My mode of investigation has involved an archive creation, 3d scanning, 3d printing, collage work, and collaboration with family members who trace their genealogy to Haiti. Early last year, a paper Exploring Polish and Haitian Art Histories as Entangled via a Studio-based Investigation of the Deity Elizi Dantò discussing my project was accepted for presentation at the international, peer-reviewed, and annual conference of the Association for Art Historians (AAH), held in the UK. The AAH annual conference congregates primarily art history scholars and theorists not studio artists; however, I strongly believe that my active participation in the academic assembly heightens my research-based studio practice. My ongoing project entitled Ezili Dantò – Madonna Kreolska is a study on the process of creolization as one of the potential forms of cultural adaptation that reflects my own experience of immigrant living in a multicultural Miami. Creolization is inseparably connected with the traumatic experiences of moving from the area of the original homeland to a new geographical and cultural habitat. This process focuses on the concept of mixing different cultures as a result of which the formation of a new identity takes place. According to Édouard Glissant, creolization almost always leads to unknown and unpredictable consequences. His vision of creolization emphasizes mobility and fluidity, at the same time undermining the established and normative patterns of identity formation. This project is a personal attempt to answer questions regarding the fundamental issue of identity, or perhaps I should articulate more strictly – my own identity. In previous multimedia projects, such as Generalicjan – the Generals (2015-16), Stadtluft Macht Frei (2014), and After History (2010), I have often referred to the subject of personal and national identity related to the place, landscape, individual space as well as experiences of life in emigration. Another aspect of my research/creative activities channels into my profound interest in engagement through human interaction and social discourse. This notion has provoked several large-scale trans-disciplinary collaborative projects such as TAG (The Art of Giving) in Haiti, Tree of Unity in Liberty City, and Lauderhill Overpass in Lauderhill. These projects are testing boundaries between art and the “aesthetics of philanthropy” by mobilizing a number of what I describe as social actors or archetypes — from cheerleaders and athletes to art students and younger school children – to bring attention to the marginalized communities ridden by serious societal problems. Lauderhill Overpass (2017), my most recent collaborative public art project was unveiled in the late fall of 2017. In collaboration with Prof. Roberto Rovira, Landscape Architect, we transformed the Florida Turnpike overpass ecosystem by providing shade and safety via a series of upturned, large scale umbrella-like structures composed of mesh. This project came to fruition after over five years of close collaboration with the representatives from the city of Lauderhill and the Broward YMCA. The proposal was chosen from those of a competitive group of designers and artists. This project is a wonderful example of how art and aesthetics can transform our daily lives—certainly those of these children. The impact of this work is immeasurable. Furthermore, the complex multidimensional outcomes of my socially engaged art practice, have been presented at several academic conferences in the USA and Europe, as well as in panel discussions involving civic and community leaders. Most recently, I have been appointed to serve on the Arts Advisory Panel by the City Commission of Coral Gables, Florida. Moreover, I would like to emphasize my research projects that test experimental and cutting edge technologies. Since my first appointment at FIU, I have been spearheading an integration of emerging digital/experimental media into our curriculum by building an ample environment for confluence between traditional and experimental art forms. I am an avid user of an array of digital tools, such as multi-platform 3D printing and scanning systems, and laser cutting. These sophisticated tools allow me to rapid prototype and fabricate new art objects. Unexpected outcomes like glitches or “failed objects” are of deep interest to me. My ongoing series of projects entitled Lapidarium (2014 – present) investigates notion of memory in conjunction with replicated objects of material culture interpreted via digital technologies. Two separate renditions of Lapidarium were presented in two solo exhibitions in prestigious national art academies in Latvia and Lithuania. To clarify, the word “lapidarium” in the title technically refers to a place of display of fragments and monuments. My employment of digital technologies is inextricably interwoven with the themes of cultural displacement and creolization. Currently, I have been developing a new framework combining my explorations of the notion of creolization with the rapid evolution of digital representation means. An important portion of previously described project Ezili Dantò – Madonna Kreolska, refers to appropriation, distortion and recontextualization integral part of contemporary digital culture, I refer to as “digital creolization”. Lastly, international and interdisciplinary collaborations have helped me to reexamine the position of my work in the cultural and academic settings. I often gravitate towards the projects that can be described by the German idea of Gesamtkunstwerk (or total work of art). It has become an ideal term to illustrate numerous collaborative endeavors incorporating the visual arts, music, dance, poetry and architecture. I have been fortunate to team up with extremely talented colleagues. Una Marea Creciente (A Rising Tide): An Interdisciplinary work is an ample example of our collaborative efforts, as a team of professional performing and visual artists and designers have developed a new way of expressing the nuances and complexities of sea level rise through the creation and production of an evening long large-scale site-specific interdisciplinary work. With the collaboration and support of the James L. Knight Foundation and Faena Art, this site-specific multimedia work is a fusion of architecture, movement, music, and light.